"I am so pleased with the way my move was handled. This company has excellent communication, arrives on time and Lawrence and Tate were exceptional. I highly recommend using this company!!" "We just moved from Florida to Wisconsin and had all our belongings in a POD. After being in Madison for almost 3 weeks, PODS told us the earliest they could deliver was July 5th! We contacted Above Average about retrieving the items from the POD and having them deliver to our new place. They were amazingly helpful and found a window of time to fit me in within the next day. Terry"
"Terry & Tori came and moved my family last summer and I cannot tell you how impressed I was!! They are so nice, professional and do a wonderful job!! I would recommend them to everyone I know, in fact, I am referring them to a co-worker that is moving at the end of the month!! Thanks guys for all your help, I will certainly call you again the next time I move!!" "I have moved 5 times in the last 4 years and have used a different moving company with each move. My experience with Above Average moving was just that...Above Average. Terry and Tory were quick, professional, experienced and I was impressed with the whole move. I will not hesitate to recommend them to friends and family. Best move ever!" "I would recommend Above Average Moving to anyone who has a need to move something. Very prompt, excellent professionalism. Terry and Dave were very conscientious of my property and treated it with respect. I had to store my items for 2 nights and knew it was secure. When they came to deliver, they had already done at least one move. I couldn't believe their energy. Up and down stairs and they were in and out within an hour and 45 minutes! Super guys!" "Now that we are settled in our new home, I want to report how happy we were with Above Average Moving. When I wrote to Terry a few weeks ago, he responded promptly, and throughout the following weeks answered all my questions without delay. On moving day last Friday, he and Tory adjusted their schedule at the last minute due to a work conflict my partner had. They arrived early afternoon, after doing another full move elsewhere, and stayed with us until 9:30 that night — all the time working quickly, efficiently and cheerfully. We’re retirement age, so that meant a lot of accumulated junk between us, but Terry and Tory never complained. They moved two truckloads of furniture, boxes and tools from one small house to another small house, but they were pros — never left a scratch on the walls or floors. I hope to never have to move again, but if we do, we’ll call Above Average." "Great company! Terry was very responsive to my quote. We worked out a moving time that was beneficial to both of us, even though the move was only four days away from when I called. I wasn't sure I had three hours of moving; turns out, it was more!! He gave me a quote and told me how much I'd be charged for any time after the amount of time he estimated. I liked how they billed on the half hour instead of every hour. If I didn't need a whole hour, I would save a little money. :) Two friendly guys showed up on moving day, easily and carefully moved all my items out of my house and into their truck. They were professional and courteous. Worked hard and were fun to move with! Great personalities. :) They helped make me feel at home in my new building, making sure everything was put in the right place. I'm so glad I hired Above Average Moving!! Thank you for everything!!!" "Terry, Tory and Dave - All we can say is THANK YOU! You were the best part of the whole move! Not only did these guys do a professional job they were cheerful all day, even after we had to move big stuff back to the old house." "Terry and his crew were awesome! My job was a small move job...I only needed to move a grand piano (not the whole house) and all the employees treated my family like we were were their #1 priority. They all said "hello" and "thank you" to us...very noticeable how friendly they all were. And...not to mention they did a great job of wrapping/loading the piano...it got set up without a scratch on it! THANK YOU!" "My move went quite quick.They arrived on time, protected my old place and belongings and off they went. Once arriving, they protected my new place with door protectors and runners also. Professional, courteous, extremely friendly and I could go on. Small to large moving I would definitely recommend AAM. And what other company would The Boss be physically involved in your move? Great job and thanks!!!" 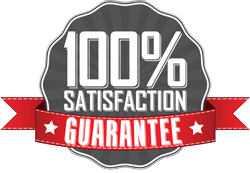 "Wonderful company to perform your move, very professional with prompt service. Terry and his guys moved me this weekend without any issues. Highly recommend you should give them a call for your next move you will be pleased with the way your possessions are handled." "I plan on moving late June & have been scouting moving companies to make my 4 1/2 mile move quick & simple. I contacted Terry on this Memorial Day just to have him contact me when they reopen after the holiday. To my amazement he returned my call after a couple hours. Good sign!! Right?! Hoping they are my men. Thanks Terry "